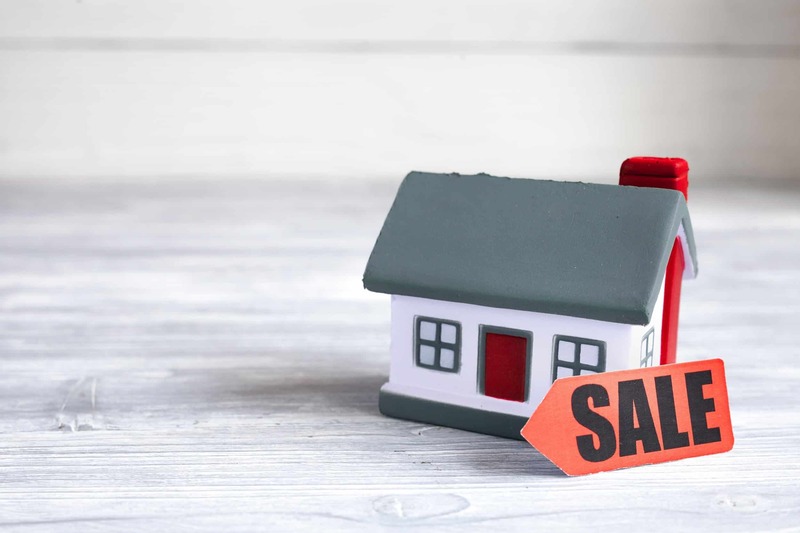 Even though selling a property is a stressful and time-consuming process, more and more homeowners are choosing to sell their home without an estate agent. If you want to potentially save thousands of pounds in fees and keep more money when your property sells, you might want to consider a private house sale. However, managing your own house sale requires a great deal of time and dedication. Our blog post explains the process of a private house sale to help you decide whether or not selling your home without an estate agent is right for you. What is a private house sale? With a private house sale, you sell your property directly to the buyer without using an estate agent. Although a private sale can save you thousands of pounds in estate agent fees, it’s not an easy process. You’ll have to advertise your property, arrange viewings, handle negotiations and complete the sale yourself. Upping the curb appeal: Although most sellers spend their time making sure the inside of the property looks good, remember that the first thing a prospective buyer will see is the exterior. You can increase the curb appeal of your home by weeding the garden, mowing the lawn and removing any visible rubbish bins. Fixing any minor issues: As most buyers are looking for a low-maintenance property, fixing any minor issues like cracked tiles, scratched skirting boards or worn patches of carpet could make all the difference. To get a detailed evaluation of your property’s condition, you should instruct a surveyor to carry out a full structural survey on your home. Creating a blank canvas: When buyers view a property, they want to be able to imagine what it will look like once they’ve moved in. To make it easier for the buyer to picture themselves in the property, you should thoroughly clean your home, declutter your personal belongings from each room and consider repainting any brightly-coloured walls with a neutral colour. Even if you think your home is in a sellable condition, consider inviting a friend or family member over to inspect the property; a fresh pair of eyes could reveal small issues that you may not have considered important, but that could make a huge difference to a potential buyer. Local factors will also affect the overall market value of your home. For instance, parents will pay a premium for homes that lie within the catchment area of a high-performing school, while young professionals will pay more for properties with good public transport links. Once you’ve set a fair asking price and made sure your home is in a sellable condition, you need to advertise the property. You could advertise your home in local newspapers, on notice boards, on social media and on online property portals, as well as by placing a ‘For Sale’ sign outside your property. For your online listing, you need to make sure that you write a short but enticing description and include high-quality photographs of your home. If you live in a three-bedroom house in a rural area, it’s likely that your property will attract families. In this case, you should mention nearby schools in your listing and describe the local area as a safe, friendly place to live if it is. House hunters spend around 20 seconds looking at property listings with photographs, but only two seconds viewing listings without. To make the most of your property photographs you should shoot in natural light, as it will make rooms look more spacious. It may be worth hiring a professional photographer, as high-quality photos that highlight the best aspects of each room are the key to attracting buyers. Your online listing will also need to provide potential buyers with documents that explain the finer details of your home, including a room-by-room guide, a floor plan and energy performance certificate. The manner in which you show potential buyers around your home will have an impact on whether they decide to make an offer. Before showing anyone around, you need to make sure that both the exterior and interior of your house look presentable. Consider writing down the main features of each room so you can highlight your home’s advantages over similar properties, and make sure that you remain positive about the property throughout the viewing. It’s usually best to start the tour in the living room, move upstairs and then show them the garden. At the end of the viewing, you should ask if they have any questions about your property or the neighbourhood in general. This gives you the opportunity to ease any concerns they have about your home, reiterate the key selling points and help you market your property better in the future. Without an estate agent, the challenge of negotiating a price with the buyer falls to you. If you’ve set a fair asking price, you should be able to keep a clear head and stand your ground during negotiations. Decide how much you are willing to accept beforehand and don’t go below that figure, regardless of how anxious you are to sell the house. If you do turn down an offer, always try to do so in a friendly manner; you want to maintain a good relationship with a prospective buyer in case you decide to accept an offer from them further down the line. When you’re ready to accept an offer, you should do it verbally and then confirm via email or post. Nothing is legally binding until the exchange of contracts, but having written confirmation of the offer will make the conveyancing process easier. Once you’ve accepted an offer, you’ll need to instruct a solicitor or conveyancer to sort out the legal documentation. The buyer may instruct their own surveyor during this time and want to negotiate the price of the property. This process is called concluding the missives and can take anywhere between two weeks to a few months to complete. Once you’ve both agreed on the price, you’re ready to exchange contracts and finalise the sale. Although selling your home without an estate agent can be a time-consuming and stressful process, you could save thousands of pounds in seller fees. If you can dedicate the time and effort to managing the sale yourself, a private sale may be the right option for you. If you want to sell your home quickly without an estate agent but don’t want to manage the sale yourself, consider selling your property to a quick house sale company like Good Move. Good Move are regulated property buyers who purchase any home for up to 85% of the market value, with sales completing in as little as ten days. If you’d like to sell your home quickly, contact our experienced team at Good Move for a free cash offer.